By: Jun Yu. yo tú él, Ud nosotros ellos, Uds hable hables hable hablemos hablen. 8 Subjunctive is being used when you want to express doubt. It expresses how a person feels. It expresses a wish, intent or command. 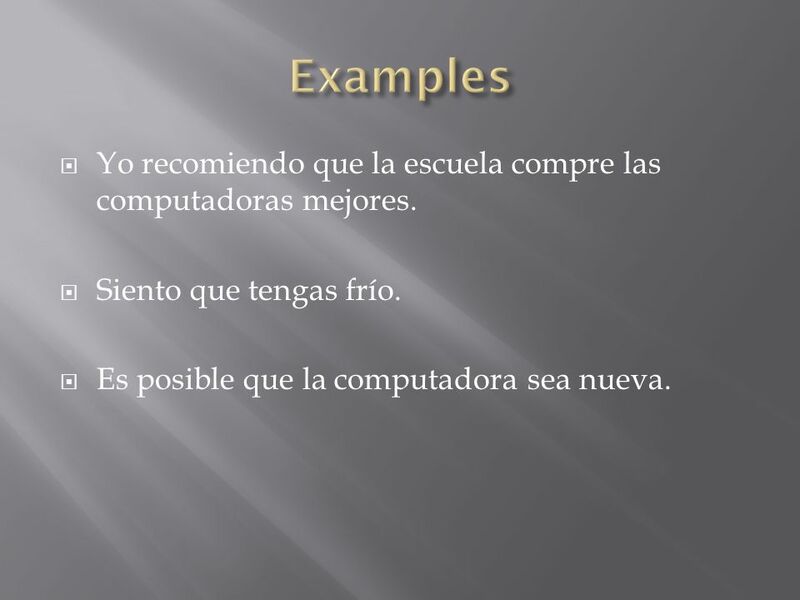 9 Yo recomiendo que la escuela compre las computadoras mejores. Siento que tengas frío. Es posible que la computadora sea nueva. Descargar ppt "By: Jun Yu. yo tú él, Ud nosotros ellos, Uds hable hables hable hablemos hablen." El verbo tener The Verb “To Have”. Tener – to have It is an irregular, stem-changing verb in the present tense What is the stem? (ten) er stem (ending) The last vowel in the stem changes. Hacer, Querer and Venir Preterite Tense. 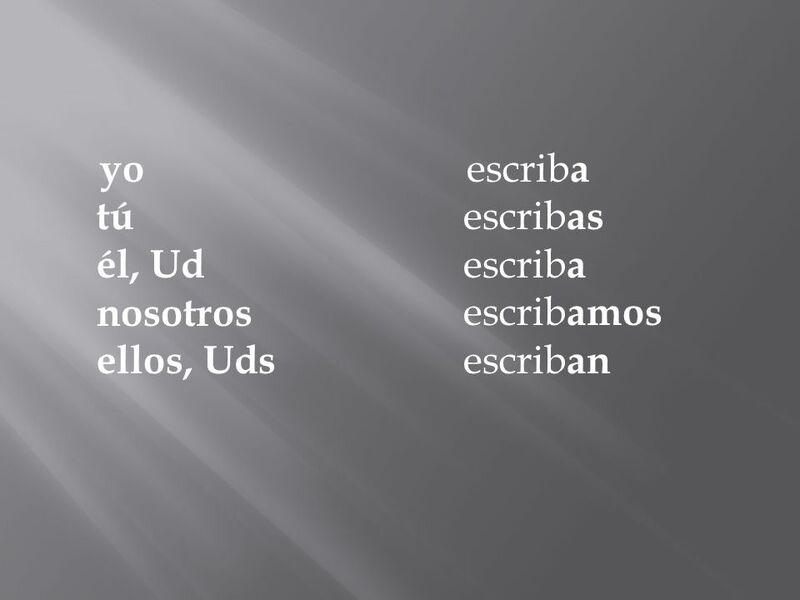 (Yo) o(nosotros/as) amos (tú) as(vosotros/as) áis (él, ella, Ud.) a(ellos/as, Uds.) an. SABER and CONOCER Page 56 Realidades 2 SABER SABER means…. To Know We use SABER to talk about knowing facts or information. 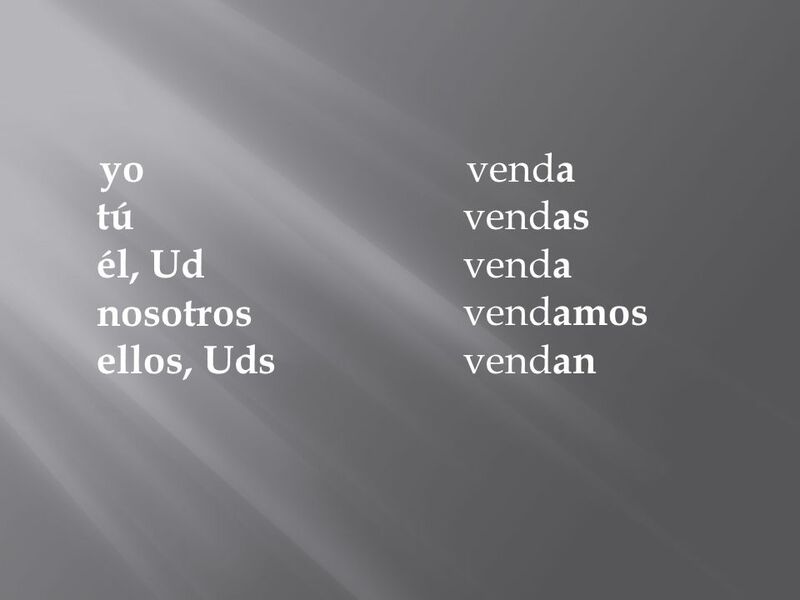 Expressions Using “Tener” - and - ¡Qué…! In expressions 5A AVSR. Apuntes.. Es subjuntivo pt. 2 El concepto del subjuntivo… Remember that when we are using expressions of doubt, uncertainty or negativity we will use the. 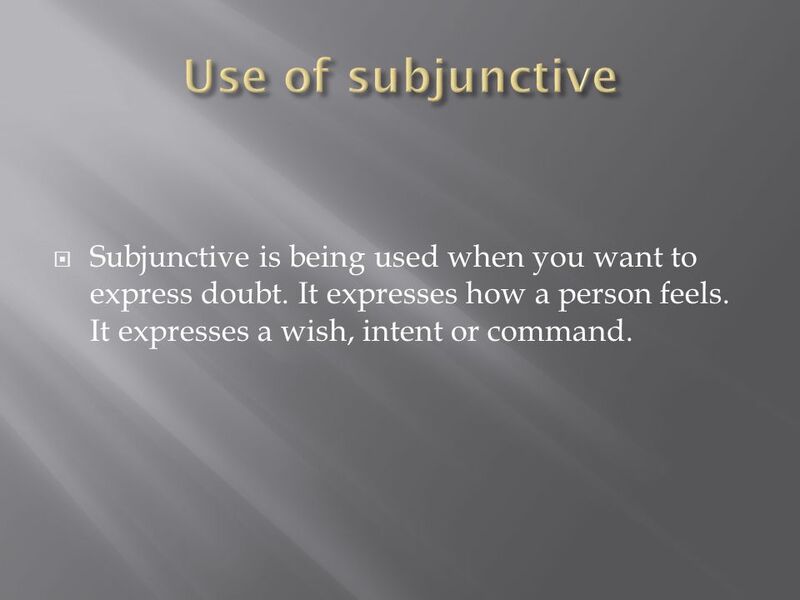 The subjunctive is not a tense; rather, it is a mood. Tense refers to when an action takes place (past, present, future), while mood merely reflects how. Mandatos Un Repaso. What is the purpose of a ‘mandato’? ► To tell somebody to do something or NOT to do something. El subjuntivo: Capítulo 12 Telling what may or may not happen. Sra. 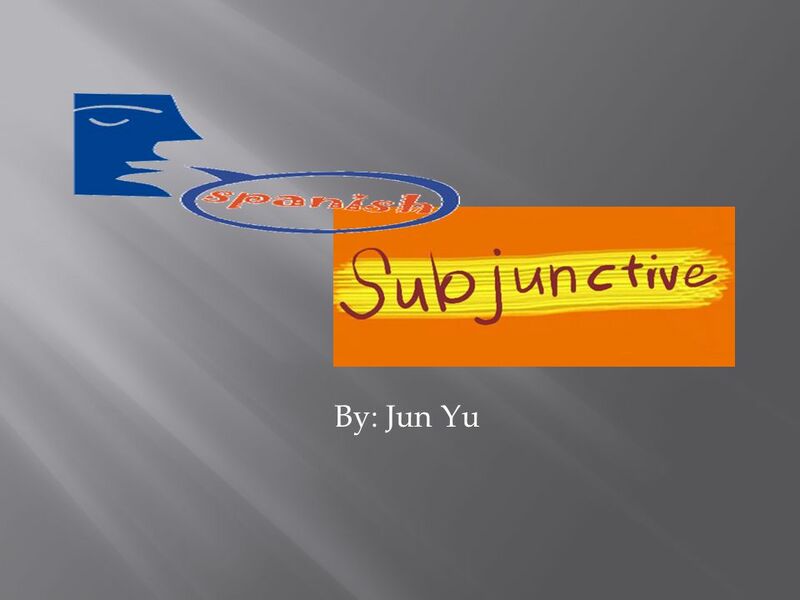 Kimbrough Spanish 3 CRHS EL SUBJUNTIVO – THE SUBJUNCTIVE.